Usually when you double click on certain types of executable files such as a script (.sh) or a “.bin” file for instance, then Nautilus (default file manager in Gnome and Ubuntu) lets you run them either through the command-line or graphically via a message. But that feature doesn’t work on all the occasions (some Python scripts for instance) Or there could be occasions that some “.bin” or any other scripts has to be associated with some additional executable permissions (“chmod” for example) which can be a bit of a hassle since sometimes you’d have to run it with administrative privileges to install properly (including using the command-line). *. Run .bin .sh .run .py or any script that your OS is supported. *. No need to manually make a file executable since App Runner does that for you! (including disabling it). *. 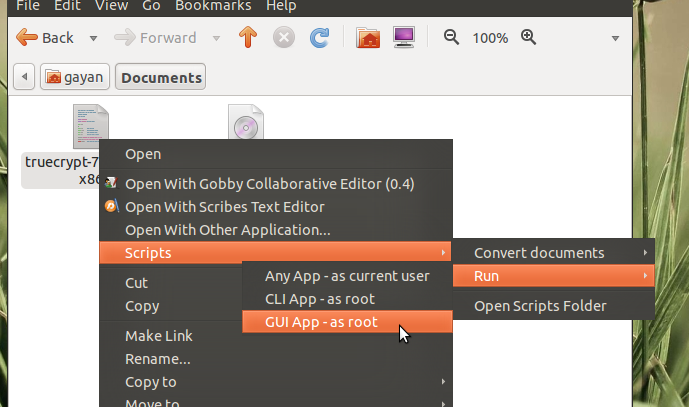 Lets you run your scripts/executable as either a normal user or as the ‘root’ user. *. Supports both GUI or Command-line programs. *. Automatic “sudo” session expiring for enhanced security. This is a small script yet extremely useful for some users. But if you’re an average Ubuntu or Gnome user (with all due respect 🙂 ) and don’t deal with scripts that much then I don’t think that you’ll be interested in it. 1. 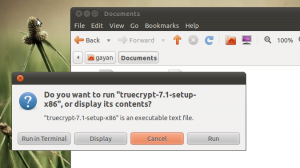 Anyhow, you can install App Runner in Ubuntu 11.04 Natty Narwhal (may support other versions such as 10.10, 10.04 and 11.10 Oneiric Ocelot) then you can easily install it by first downloading the “.deb” package from here. 2. Then simply double click on it which should open it using the Ubuntu Software Center, just follow the on screen details. Remember, USC did give me a warning which I ignored and nothing bad happened to me :). But use it at your own risk though.